Stephen Hawking once said, “Success in creating AI would be the biggest event in Human history”. We always knew that technology can play a significant role in the advancement of education and help it become meaningful and purposeful, but didn't know how. All this while, the role of technology got limited to enabling the current format of education rather than improving the outcome. The potential of technology never got harnessed and the magic eluded us as we didn't distinguish much between repair, launch, prepare and upgrade. The one size fits all model of education miserably failed to depict the complex reality because it failed to acknowledge the fact that not only people learn at different speeds, they come from different backgrounds and have different starting points. Modern technologies like artificial intelligence (AI), machine learning (ML), bots and data science have become the buzzwords which everybody talks about, but few fully understand. AI concerns the use of computers to imitate the cognitive functions of the human brain to carry out tasks in an “intelligent” manner whereas ML focuses on the ability of machines to read a set of data and learn for themselves, changing and modifying algorithms as they learn more about the information they are processing. AI and ML can play significant roles in the area of learning analytics, adaptive learning, and recommendation engines. Yet implementation at scale hinges on overcoming an overly regulated and an under-governed sector and will require support from key stakeholders--students, parents, teachers, administrators, and policymakers. The manifestation of AI in education and making the right move now will take Indian education to where it should be, any delay can be very expensive. 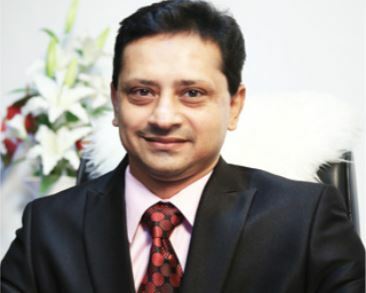 A Gold Medalist in Engineering from Institute of Technology, BHU, Shantanu Rooj completed his MBA in Marketing Management from Jamnalal Bajaj Institute of Management Studies, Mumbai followed by Executive Management Program in Global Business Management from IIM Kolkata. Shantanu has earlier held key positions in HCL-Hewlett Packard Ltd. But the entrepreneurial itch was too hard to resist and he founded SchoolGuru, a premiere technology-led specialized academic services organization.